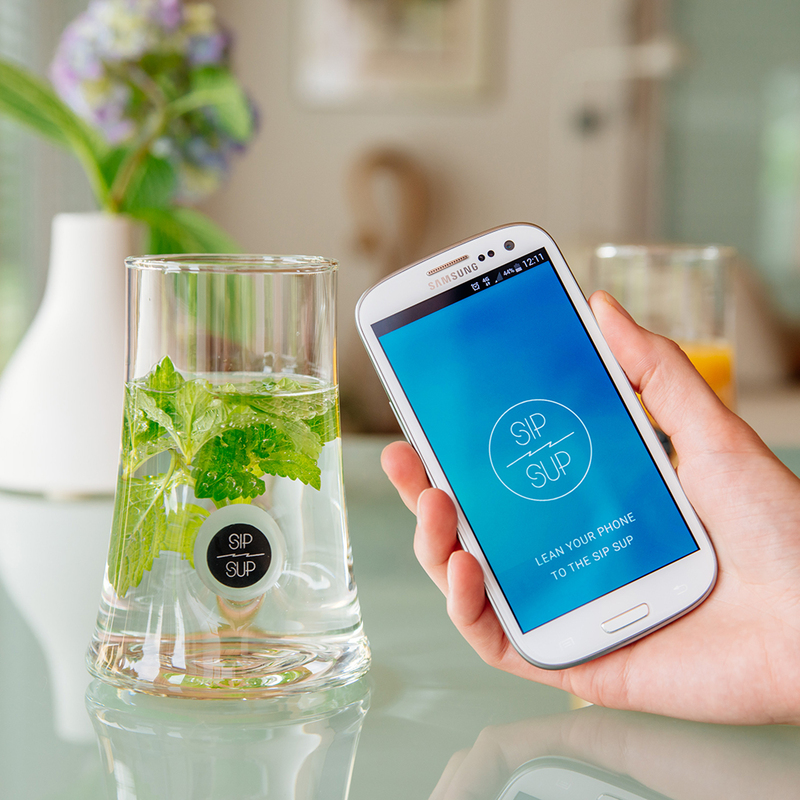 "I'm a social drinker" takes on a whole new meaning with SipSup, a social network in a drinking glass. Based on the premise that the important moments happen when you're drinking with your friends, SipSup hosts photos and videos in a glass to which anyone can tap their phone to access. With the SipSup app, you can drop your memories into the glass and share them to the public folder. But SipSup isn't just a localized, communal Instagram. When you tap your phone to someone's glass, you don't get a stream of all the uploads that have ever been stored on that glass. Instead, a random photo or video pops up from any time, so you never know what you're going to get. A friend's glass could remind you of a great time you had together, or show you a picture you weren't even there for. SipSup is a social experience, but it also has a personal side to it. The owner of the glass can choose whether to drop memories into the public or private folder, so personal memories can be stored safely. With the Post-it feature, friends can leave private messages to you on your public photos. There's also a Snapchat-y element, where friends can send your glass a picture with a personal message. SipSup is trying to be a lot of things—Instagram photo streaming, Facebook comments and timeline, Snapchat photo messages—that aren't necessarily in keeping with the basic premise that drinking is social. Some of these ostensibly trendy features detract a little from the basic idea: "Mobile connected drinking glass not only serving your favorite drink, but also your favorite moments. Because people forget to remember." However, the random memory access is both the most original and the most on-message aspect of the app. If their Kickstarter gets off the ground, SipSup could be a really fun party activity. After all, what more could a party need than drinking and selfies?